Nicki P is now the proud mum of Josef Robertz. Born at 7.30 this morning weighing 7lb 9oz with a full head of black hair. All healthy and happy! 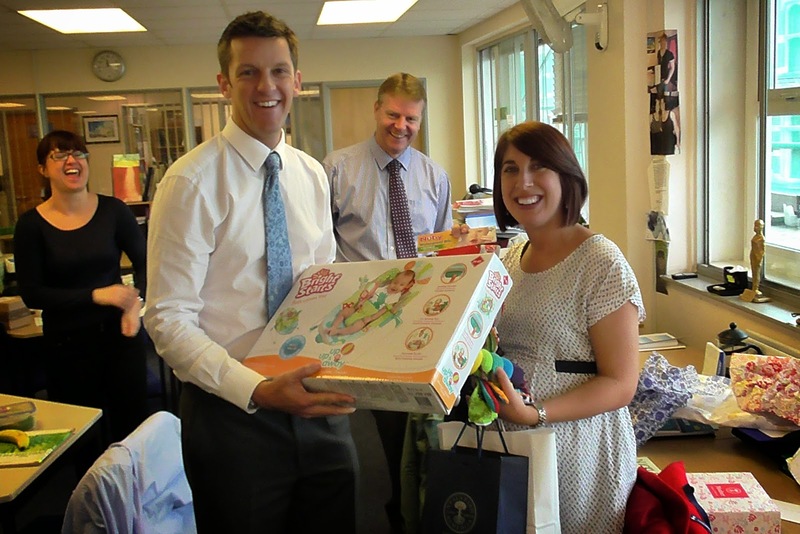 Our 'Superb Senior Teacher Support' Nicki Pring is leaving to have a baby! Nicki started here five and half years ago and has made a huge impression on everyone, supporting all the GE teachers with advice and materials. A brilliantly gifted teacher and very popular with all the staff, she will be massively missed. She said 'I am very sad to leave, but incredibly excited at the prospect of being a mum, and is waiting for the best Christmas present anyone could have' - her baby is due of Christmas Eve! From left: Leanne, Ross, Andrew and Nicki. Bye Nicki, good luck and look forward to seeing you back sometime next year.